For someone who usually likes to ride in “stealth mode” and be as invisible as possible, so as not to be followed or spotted making errors, the idea of being lit up like a Christmas tree at night was quite foreign! Park Farm competition was Flash’s first night riding experience (and my first intentional experience!). We tried to fit the bill of stylish and safe, and luckily with Mr F being completely black, all fluorescence looks fab. 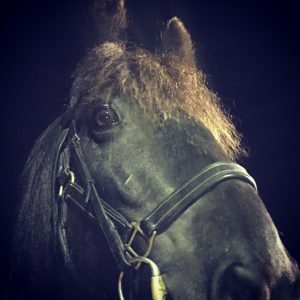 I was super excited to be riding at night and when I was tacking up at half nine Flash decided I had totally lost it – if he could have rolled his eyes he would have. 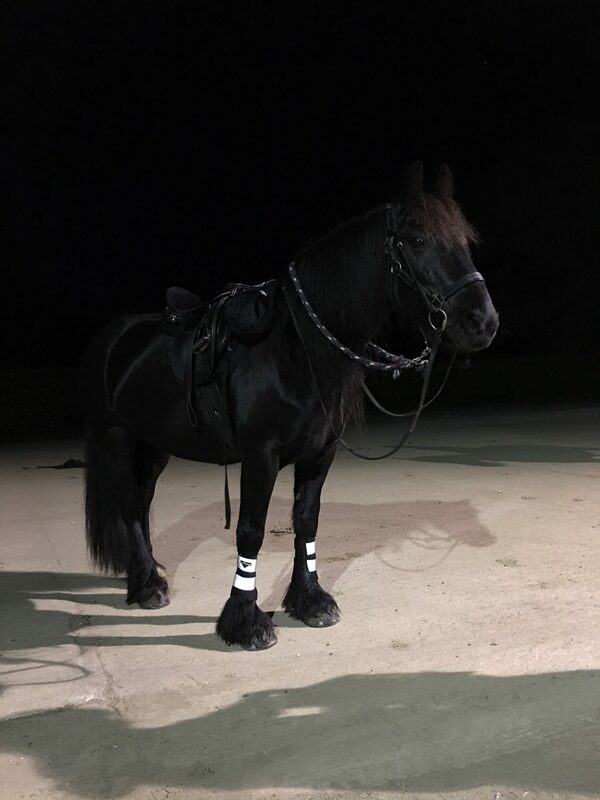 Nevertheless we set off into the night, and after the first initial “oh my goodness the puddles are shiny”, we both settled down to counting our paces and trotting along as usual. It was so beautifully peaceful to be riding under the stars, without all the distractions of the day. Orienteering was a challenge, with no landmarks to see or field boundaries to count, so everything was reliant on counting every stride to measure the distance. In a typical Caitlin way, I wanted to be going a lot faster than the speeds dictated, so we had a few canters and took the penalties for being too fast. The whole competition was brilliant fun and a great start to our season, especially as the POR distance was split between night and day, allowing both of our brains a break. 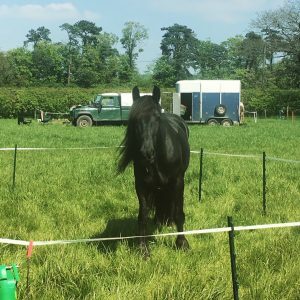 With some of the PTV obstacles on route, it really felt like we got back to origins of TREC and how the competition is an unbeatable way to train your horse for every eventuality on the trail, whilst having fun blasting around the countryside. We finished overall in second at Level 4 and got our personal best PTV score at 159. I am now willing for exams to be over so I can spend more time in the saddle and less time at the desk. Roll on summer, and preparations for the World Championships in Rome 2018.